Love Notes: Where to Find Romantic Savannah Adjectives? SAVANNAH Georgia (May 20, 2013) – Where’s the love in Savannah? That answer is easy: Everywhere. The old southern city by the sea is picture perfect! Great timing, too for this inaugural Love Note from Romantic Inns of Savannah. Savannah is named among the top 25 Trip Advisor’s Travelers’ Choice ® 2013 USA Destination Cities, coming in at #14. “Let Savannah Romance You!”™ is the Romantic Inns of Savannah tagline. It’s really an invitation to a romantic place – Savannah. What's not to love? 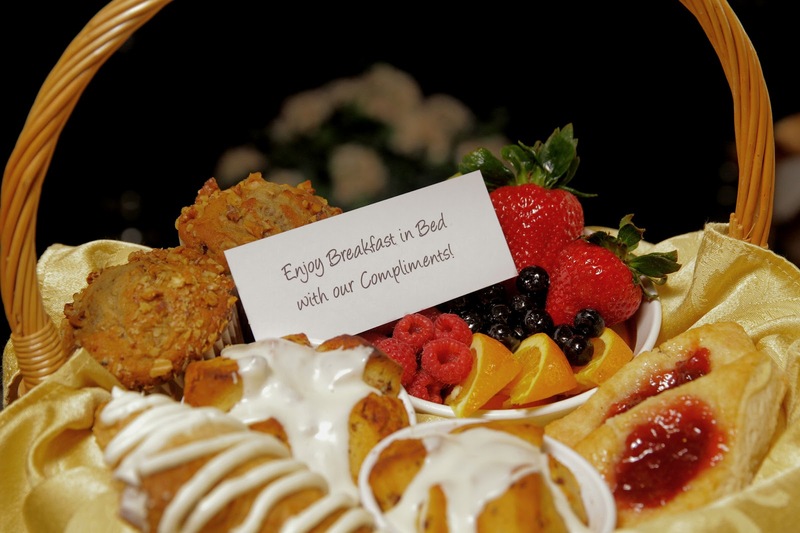 Just make your first stop for ideas and lodging at one of our romantic bed and breakfasts! Romance is so personal. So, we have simply chosen a few deliciously descriptive adjectives – the feeling words of love – that fit romantic Savannah so well. It’s amazing how a teacup full of delightful words can shake loose fresh ideas -- romantic places and romantic things to do – to better enjoy a delightful getaway to Savannah. 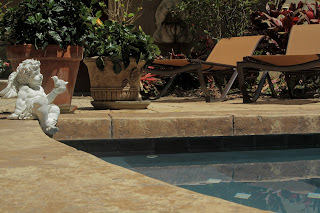 Have you been aching to lunch again at Mrs. Wilkes Dining Room or Wiley’s Championship BBQ? Or, aching (literally from your sports training) to take part in the running events, like Rock N Roll Marathon, November 9, 2013. The 2-person half marathon relay is NEW in 2013! Now, isn’t that a fresh romantic idea? Savannah is a flat city, making it a popular running spot to novice and avid athletes. Especially for travelers arriving from desert climates, the Savannah tree-scapes, sunset cruises, and wide open spaces of nearby beaches are breathtaking. Experience a day of simple pleasures, salty breezes and relaxation on the Atlantic Ocean shore at Tybee Island – only 18 miles east. Picturesque panoramic views are showstoppers from the top of Tybee Island Lighthouse. An intimate, romantic dinner at Alligator Soul, or Sapphire Grill’s Late Night Cocktails – yes, the mint juleps and jet-set-style small plates -- are worth lingering, breathtaking moments! 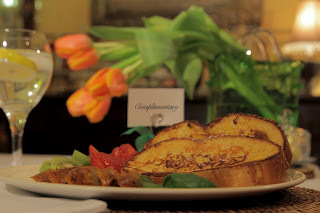 From Green Palm Inn a daily gourmand breakfast. Romantic Inns of Savannah is complimentary. Begin with lodging at a Romantic Inns’ bed and breakfast for your first introduction to Savannah’s social, convivial life. 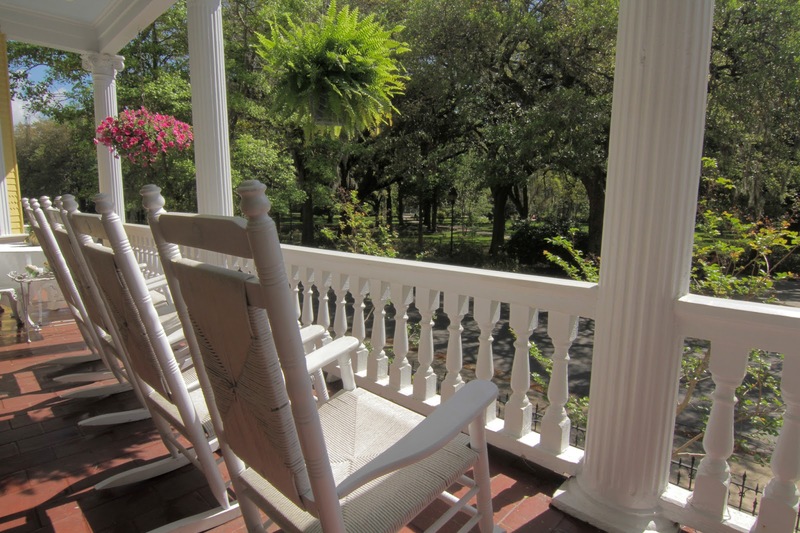 Innkeepers will point the way to choice places to meet more of the city’s friendly, jovial people. 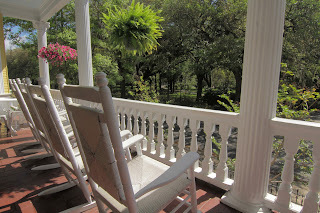 Did you know that Savannah’s friendly people made #2 in Travel+Leisure magazine’s “America’s Favorite Cities 2012” poll? Savannah’s cuisine is gaining a worldwide reputation. TripAdvisor.com named Savannah #7 among the top 10 Food and Wine U.S. Destinations in the 2011 Travelers' Choice poll. Desserts from places like Lulu’s Chocolate Bar and choice European wines from Le Chai are worth the visit! In quiet moments at Telfair Museums – Telfair Academy of Arts (The South’s oldest museum), Owens-Thomas House (an architectural wonder in North America), and the modern Jepson Center – you’ll see romanticized portraiture, historical murals, and big and small modern artistic snippets on life. The SCAD Museum of Art magically blends Savannah’s ingenuity -- old and new -- in exhibits curated by Vogue magazine’s André Leon Talley to the quirkilty modern place for a bite -- TAD café: A tad of art, a tad of whimsy, a tad of everything. The new museum is housed in the restored 1853 freight depot of the Central of Georgia Railroad. Southerners are known to be a chatty, storytelling bunch. From her Savannah trip, Harriette Behringer wrote “Everyone has a story” in her article “Oh Savannah” published in Philadelphia City Paper. The slow movement of horse drawn carriages, sightseeing shuttles, and walking tour guides perpetuate the lore. From innuendo to specific pointers, it’s easy to glean recommendations for the ‘must do’, ‘must see’, ‘must try’ experiences, places, food and libations here. Dancing through the summer breeze in Savannah are whiffs of sweet gardenias and southern jasmine. Tempt yourself and buy an Archipelago Savannah candle – a blend of gardenia and jasmine. In Savannah the fragrant candle is available at boutiques, including One Fish Two Fish near Mrs. Wilkes Dining Room on Jones Street. You’ll spot beach morning glories in the dry sands at Tybee Island. Palms and colorful oleanders dress the tidewater highways. Check out the largest private garden in the National Historic Landmark District. It is located on the expansive grounds of a beautifully restored shipping magnate's mansion, now Ships of the Sea Museum on Martin Luther King, Jr. Boulevard. Note: Free admission to Ships of the Sea for National Maritime Day, May 22 annually. The date honors the launching of the S. S. Savannah, the first steamship to cross the Atlantic Ocean. Yes, indeed! Savannah’s women are beautiful -- like Sandra Bullock and Charlize Theron, of course. And, the gentlemen are as handsome as Ben Affleck, Will Smith, Tom Hanks, Denzel Washington, Jude Law, Kevin Spacey, Dennis Quaid, and Matt Damon! Fact or legend? Haven’t you seen the movies filmed in Savannah – “Forrest Gump”, “Something to Talk About”, “Midnight in the Garden of Good and Evil”, “Forces of Nature”, “Baggar Vance” and “Glory”? Any time of day, truly, the head-turners move about the landscape. And, it’s been that way here a long time. Check out the good-looking hero statues that dot the well-manicured landscapes -- in 22 garden squares, along the Bay Street strand, River Street, and Forsyth Park. For a chance to meet up with real-life Hollywood standouts, stop in for ice cream at Leopold’s Ice Cream. The handsome Stratton Leopold, executive producer in box-office mega movies like Mission Impossible III, may very well be on premise at the family’s legendary ice cream shop. Stratton and his darling wife, Mary, reintroduced the homemade Leopold’s flavors, achieving ‘top 10 in the world’ status – and Savannah a place on Travel+Leisure’s #1 Ice Cream city -- in recent years. P.S. Romantic Inns’ beautifully restored historic house inns and boudoirs are good-looking, too! The story goes that nightlife for the 20-somethings begins at 10:00 p.m. in Savannah. Then, of course, there’s another version of high-spirited that points instead to those who imbibe – not needing a 5:00 p.m. cue. The rumor that Savannah is a “to-go-cup” city is true. Newest in the tales of our high-spirited city is the Savannah Slow Ride – a 15-person pedal tour that is popular for bachelor and bachelorette parties, friends and family on vacation in Savannah, or destination weddings in America's most beautiful city. River Street and City Market entertainment, plus music and film festivals help to celebrate Savannah as a fun-loving, get-out-and-go vacation spot. Stay tuned! Romantic Inns of Savannah will have more Love Notes, sharing adoring to unforgettable adjectives that introduce romantic Savannah travel tips.